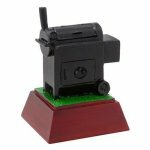 The Barbeque Cooker resin trophy has a brushed gold laser engraved plate and black letters. The Ebony Barbeque resin trophy has a brushed gold laser engraved plate and black letters. 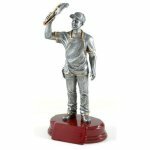 The BBQ Chef Award is ideal any barbeque competition or as a thank you for that special outdoor cook. 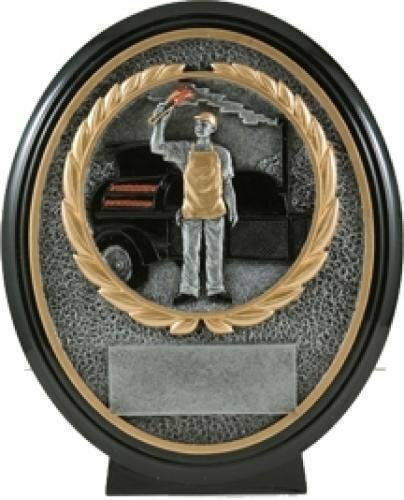 This resin award has a brushed gold laser engraved plate and black letters. 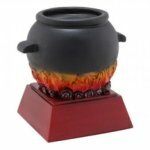 The Chili Pot resin trophy has a brushed gold laser engraved plate and black letters. 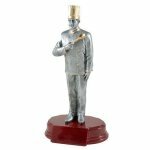 The Chef Award is ideal for any cooking competition. 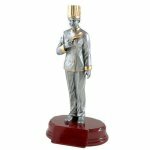 This resin trophy has a brushed gold laser engraved plate and black letters. 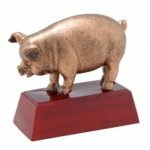 The Pig Sculpture is ideal for a barbeque trophy. This resin award has a brushed gold laser engraved plate and black letters.